Campbell Pritchard is National Director of Advisory & Transaction Services Office in New Zealand. Campbell has built strong relationships with many of New Zealand’s landlords, commercial property owners and tenants throughout his career. As a result, Campbell has formed a solid understanding of the stock available in the market and the key factors that influence market rentals. 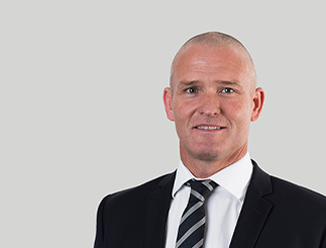 Prior to commercial real estate, Campbell spent three years working as a solicitor for major New Zealand law firms, primarily in the litigation and commercial practice areas. Campbell also has extensive financial services experience having worked in the Regulatory Accounting departments of Deutsche Bank and Merrill Lynch in England and Ireland.